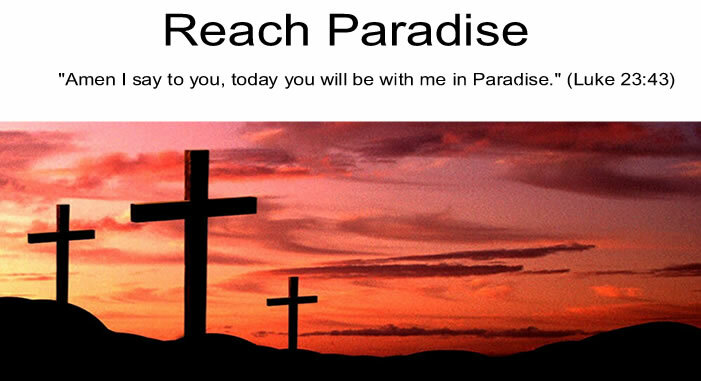 Reach Paradise: "My Son Died for You. Don't You Even Care?" 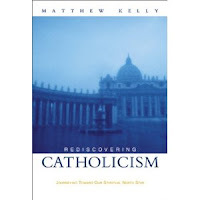 The following is from Matthew Kelly (author of Rediscovering Catholicism). I've come across it multiple times now, and it's so good, I thought I would share it with all of you. It's a very quick read, and really puts God's sacrifice into a modern day example. You begin to sign, and then you see that the box for the number of pints of blood to be taken is empty. "H-h-h-how many pints?" And that is when the old doctor's smile fades, and he says, "We had no idea it would be a little child. We weren't prepared. We need it all!" "But...but...I don't understand. He's my only son!" "We are talking about the whole world here. Please sign. We...we...need to hurry!" In numb silence you do. Then they say, "Would you like to have a moment with him before we begin?" And then next week, when they have the ceremony to honor your son, and some folks sleep through it, and some folks don't even bother to come because they have better things to do, and some folks come with a pretentious smile and just pretend to care, would you want to jump up and say, "EXCUSE ME! MY SON DIED FOR YOU! DON'T YOU EVEN CARE? DOES IT MEAN NOTHING TO YOU?" Thanks for posting this, Michael. It certainly does put sin and God's sacrifice in perspective. Wow ... what a story. I have never come across it before. Is it in the book "Rediscovering Catholocism"? I regret to say I'd never heard of Matthew Kelly ... I'll look him up on AMAZON. I'll tell you something Michael ... for a long time now a similar story has crossed my mind time and again. I never wrote about it. The world is in turmoil and it seems no body cares. What if some strange disease spread everywhere without prejudice hitting rich and poor alike with no favour. That would soon make world leaders focus on what's really important - LIFE. And people would quickly go down on their knees and pray to God whom they now ignore or even mock. Thank you so much Michael for mentioning my Blog. You're so kind. Whoa, Michael! This gave me chills! It paints a very powerful and heart wrenching picture of how great a sacrifice Jesus' death on the Cross was! Wow! What a captivating story! I have never read it before either. The ending is perfect to make us think of our selfishness and lukewarmness. Dear Michael, Your story is profound and heart wrenching. People are becoming more and more selfish and care less about all that has been done for them. We are almost back in the days of Sodom and Gomorah. I say 'almost' because I can see and hear it all around yet it is so distressing to admit. Michael, thanks for the blog. It's great. Following Victor's link I stumbled across you - what a blessing. Keep it going! Yes, I think this is exactly what God wants us to know. He loves us! Good evening Michael, This is a very interesting post. It really makes one think. It sort of reminds me of a movie I saw recently. Lot's of food for thought here. I hope you have a beautiful and blessed week. Karinann, Mary, paramedicgirl, Fr Paul, Joey and Carol- thanks so much for your comments and kind words. Victor - Yes, it is in that book. I actually just started reading it so I cant give you a full report, but will when I finish. I have listened to a few of his CD's, though, and they were all good. I really do share your thoughts though - sometimes it feels like the world is crumbling morally and no one seems to care. Crystal Mary - You raise a good point - and its scary to think that we are becoming more like the Pharisees than we probably want to admit!